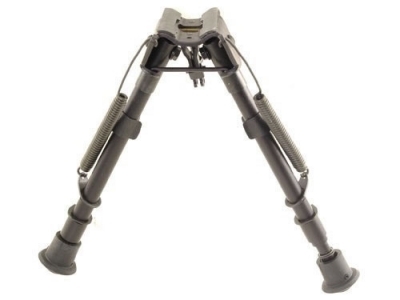 The Model LM Harris Bipod is an improved version of the original leg notch Bipod. The legs eject by spring action. Seven height settings from 9 to 13 inches. Weight is 11 ounces.